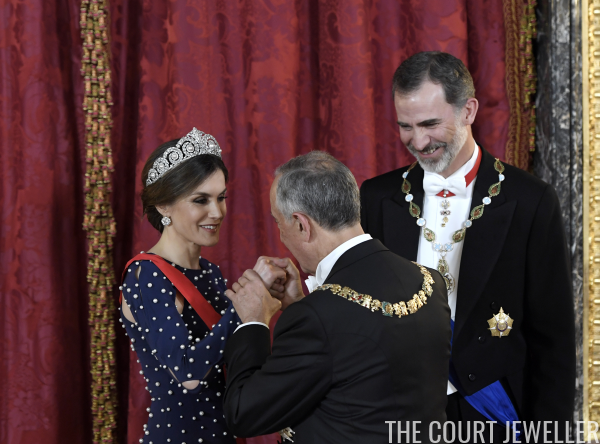 Number five on our countdown of the best royal jewels of the year features some major sparkle that was perfect for Britain's newest royal duchess! 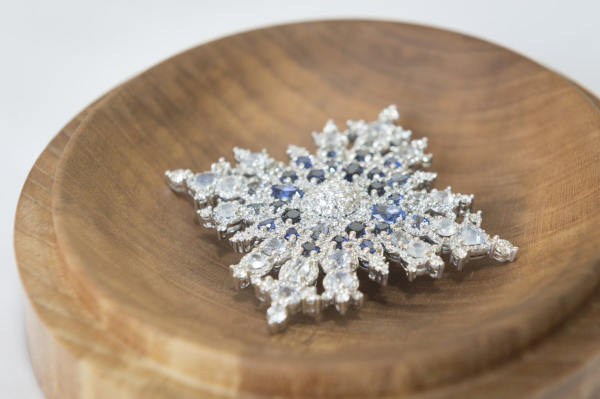 The seventh entry on our countdown of the best jewels of the year was truly dazzling -- and extremely expensive! 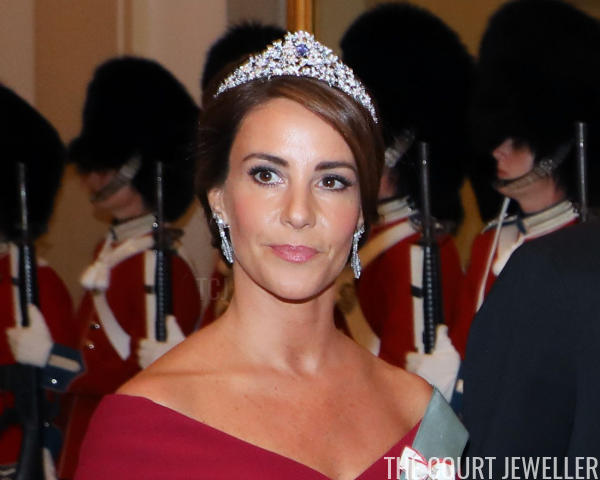 Queen Anne-Marie of Greece wears the Ruby Olive Wreath Tiara at the wedding of Crown Princess Victoria and Prince Daniel of Sweden, June 2010; more on the tiara over here! 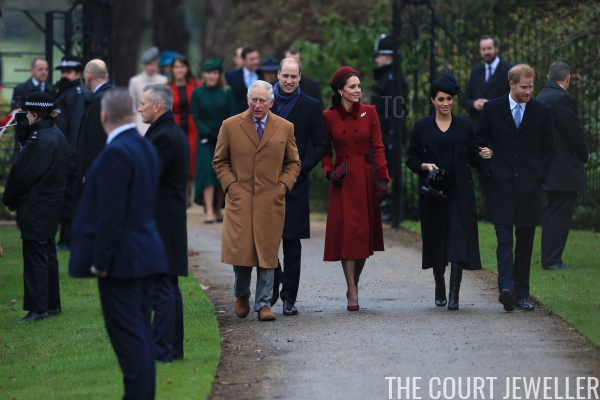 The British royal family gathered again at Sandringham to celebrate Christmas this year, and we got our annual glimpse of their jewels as they arrived at church in nearby King's Lynn on Tuesday morning. 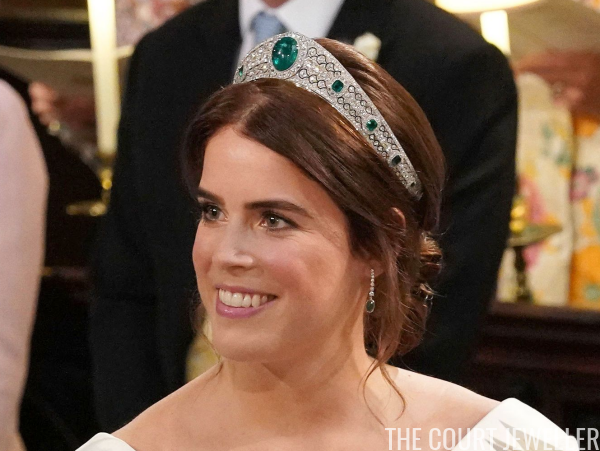 The Vladimir Tiara, with the Cambridge Emerald Drops, is displayed at Buckingham Palace, July 2006; more on this fascinating tiara over here! Merry Christmas, magpies! Whether you celebrate today's holiday or any other festive day this time of year, I hope you're having a wonderful season with the people you love. 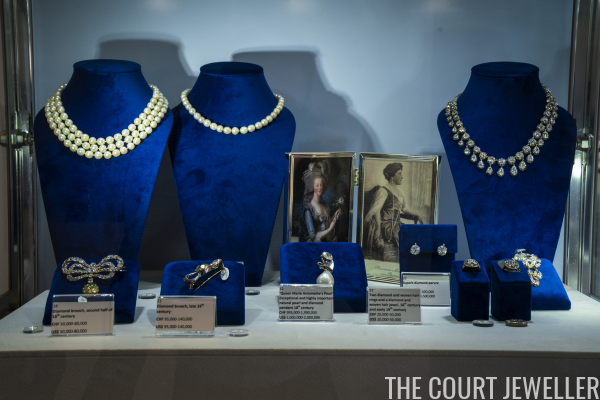 This year has been an especially wonderful one for me, thanks in no small part to each and every one of you who visit The Court Jeweller. Thank you all so, so much -- for reading, engaging, chatting, and sharing in this little sparkly corner of the world. I hope it continues to bring all of you joy! 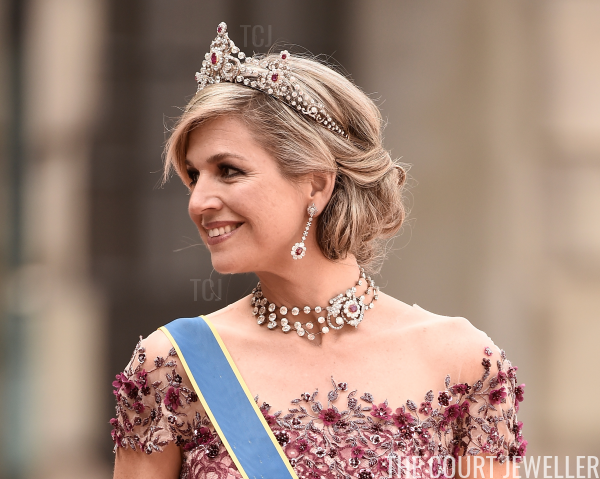 Queen Maxima of the Netherlands wears the tiara and jewels from the Mellerio Ruby Parure for the wedding of Prince Carl Philip and Princess Sofia of Sweden, June 2015; more on the heirloom rubies over here! 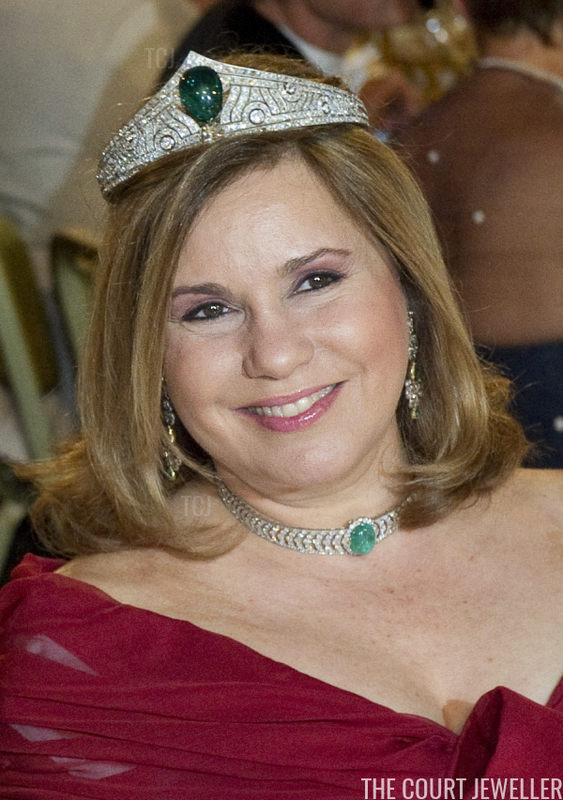 Grand Duchess Maria Teresa of Luxembourg wears the Chaumet Emerald Tiara at the Nobel Prize banquet in Stockholm, December 2011; more on the tiara over here! 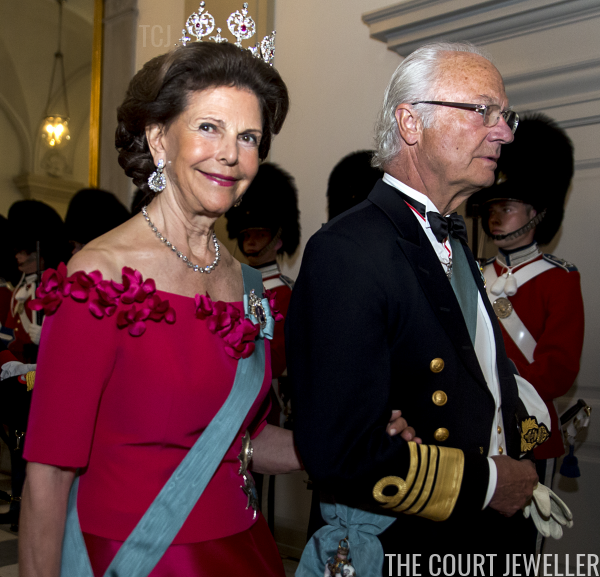 Happy Birthday to Queen Silvia of Sweden, who celebrates 75 sparkling years on the planet today! 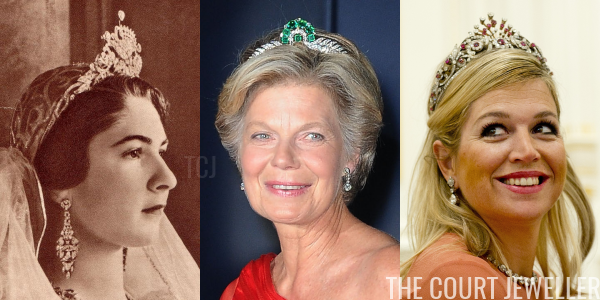 To mark the milestone, we're rounding up all the tiaras she's worn since becoming Sweden's queen consort in 1976. Enjoy! 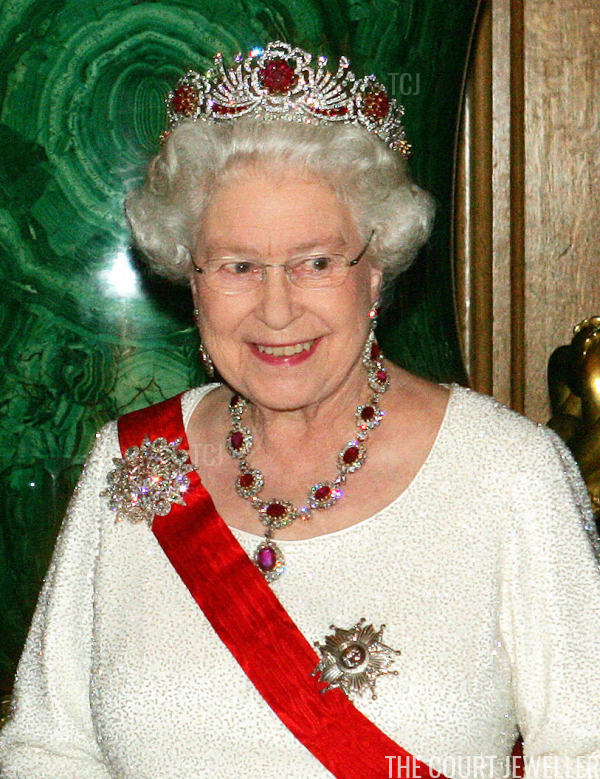 Queen Elizabeth II of the United Kingdom wears the Burmese Ruby Tiara for the French state banquet at Windsor Castle, March 2008; more on the tiara over here! 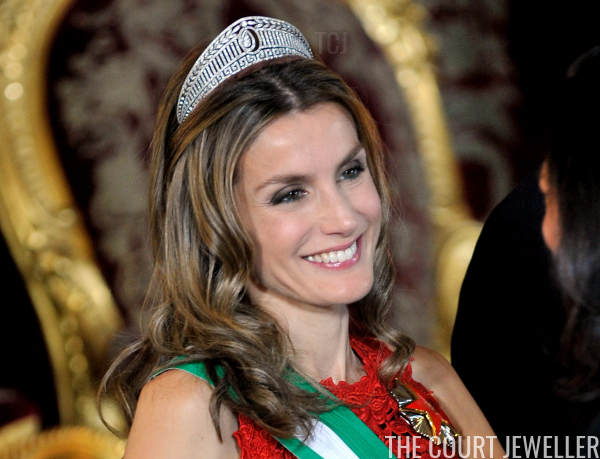 If you're only going to have one tiara in your royal jewelry collection, it had better be a versatile one! 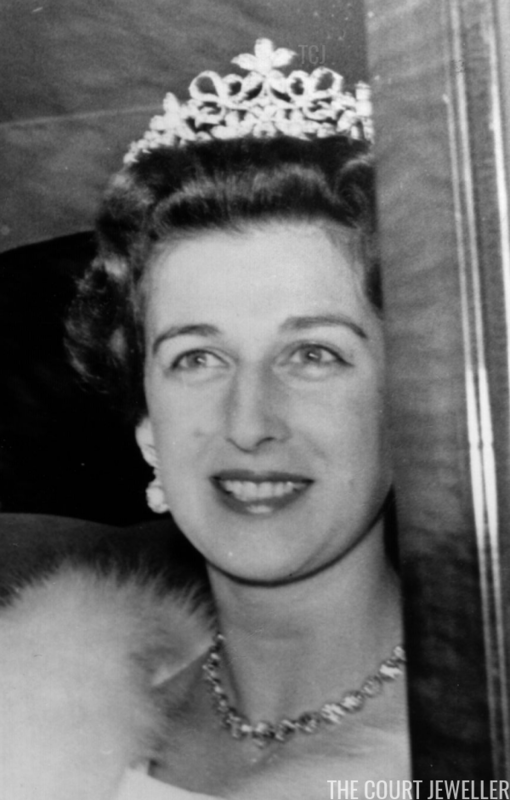 Such is the case with Princess Alexandra's tiara, a convertible piece which can be worn with a number of different gemstones. 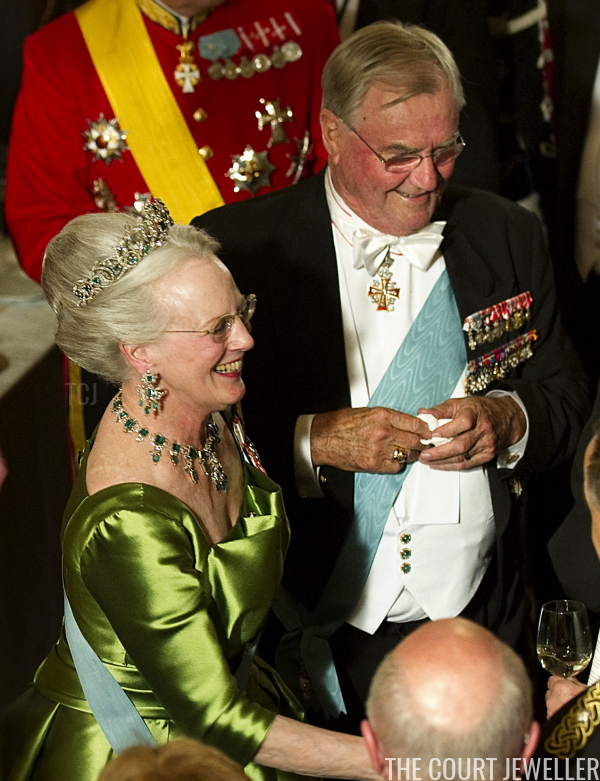 Queen Margrethe II of Denmark wears the tiara and jewels from the Danish Emerald Parure during a gala concert celebrating her 70th birthday, April 2010; more on this important suite of jewels here! 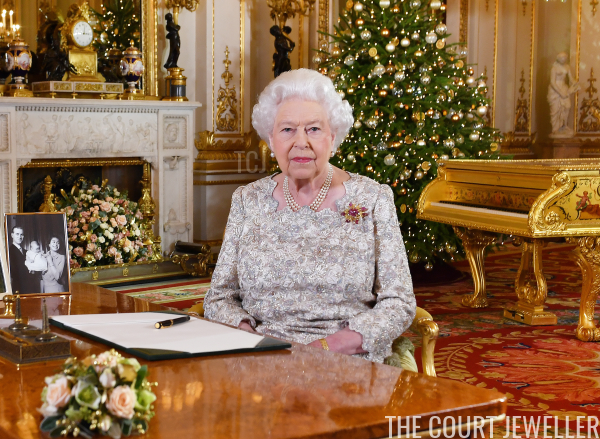 It's our last royal jewel roundup of the year, magpies! Fittingly, there are lots of holiday jewels involved -- don't forget to vote for your favorites in the poll below! 15. 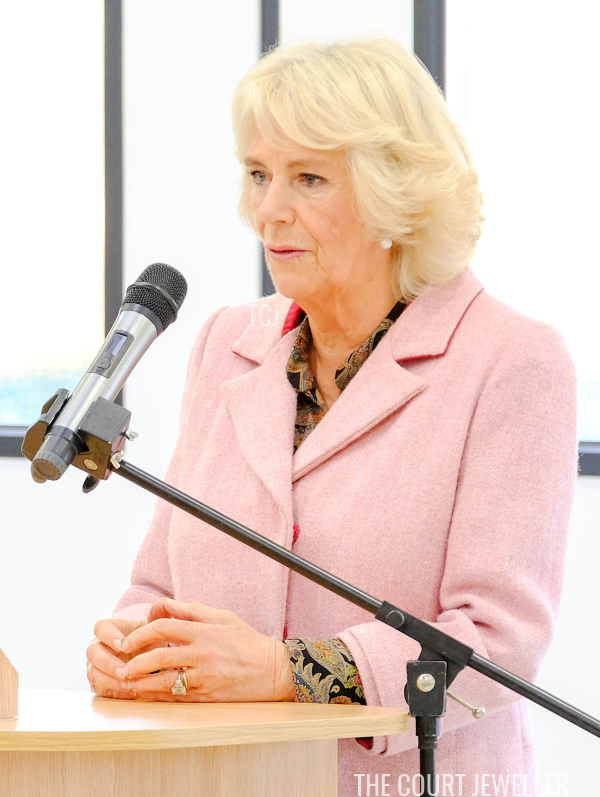 The Duchess of Cornwall wore her favorite pearl drop earrings and her engagement and wedding rings on Friday to officially open the Wiltshire Air Ambulance airbase at Outmarsh. 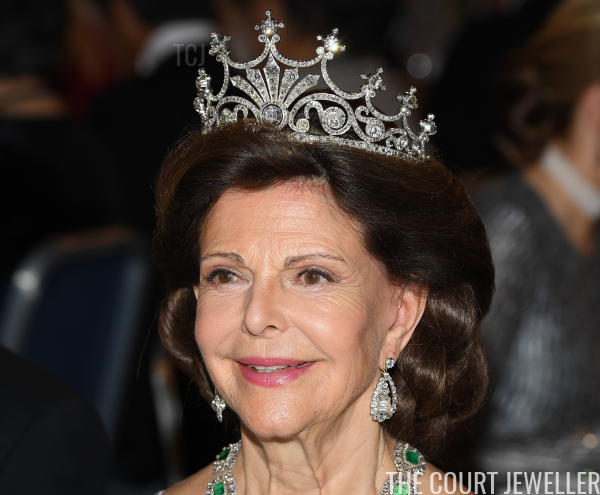 Queen Silvia of Sweden wears the King Edward VII Ruby Tiara at a banquet in honor of the 50th birthday of Crown Prince Frederik of Denmark, May 2018; more on the heirloom tiara here! 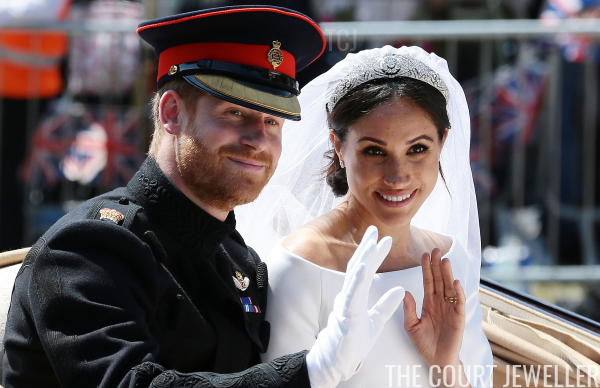 Time for a sparkling glimpse into the world of the Duchess of Sussex! 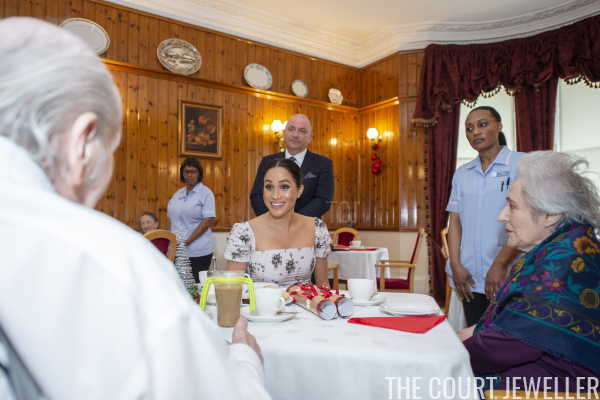 On Tuesday, Meghan donned diamonds as she headed out for a visit to Brinsworth House in Twickenham. 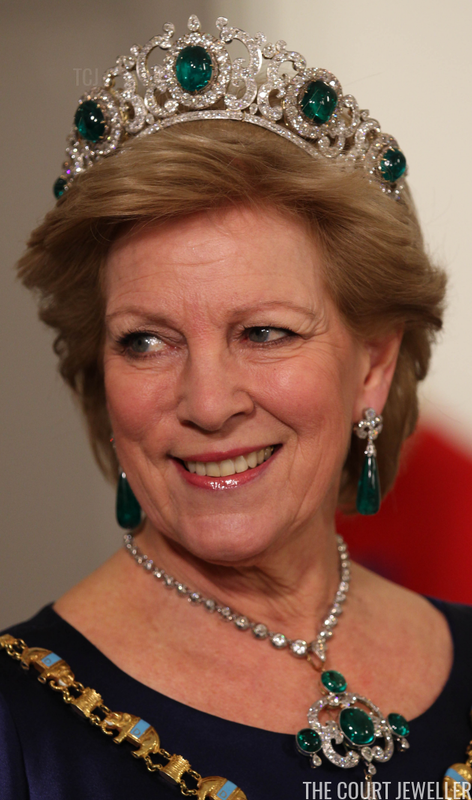 Queen Anne-Marie of Greece wears the tiara and jewels from the Greek Emerald Parure for a gala dinner in Copenhagen celebrating Queen Margrethe II's Ruby Jubilee, January 2012; more on the magnificent emeralds over here! 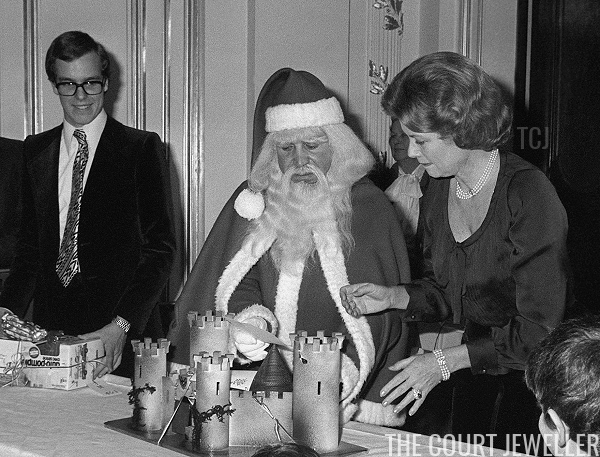 With Christmas less than a week away, we're starting to see plenty of royal holiday spirit in the air. 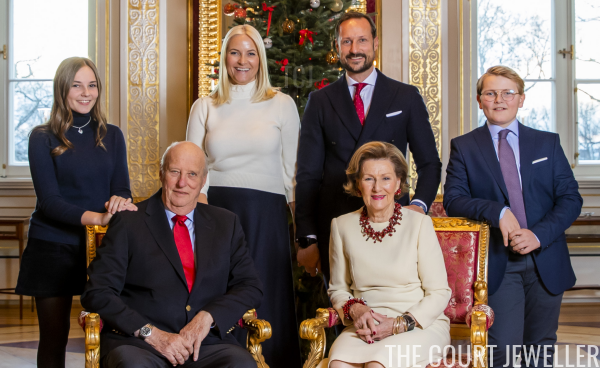 Today, we've got a look at the festive family Christmas jewels of the Norwegian royals. 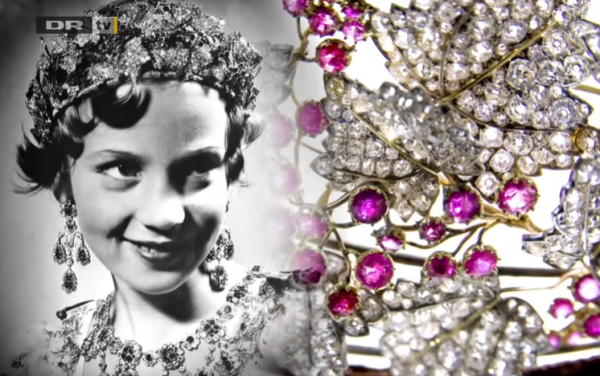 As part of a costume, a young Princess Benedikte wears the tiara and jewels from the Danish Ruby Parure; learn much more about this important heirloom suite over here! The Sayn-Wittgenstein-Berleburg Tiarapedia Is Here! 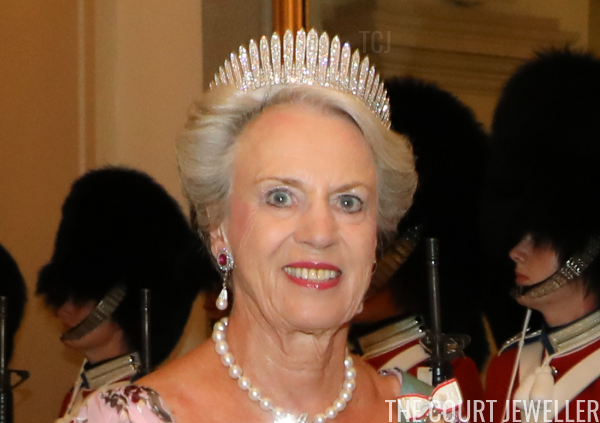 The Tiarapedia, the original digital encyclopedia of tiaras, continues to expand, this time with a brand-new section devoted to Princess Benedikte's branch of the Danish royal family! 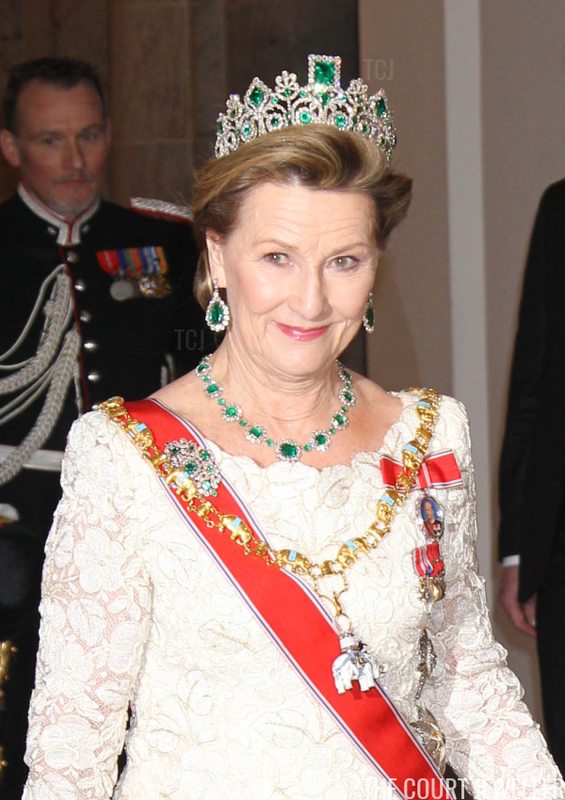 Queen Sonja of Norway wears the tiara and jewels from the Norwegian Emerald Parure at a celebration for Queen Margrethe II of Denmark's Ruby Jubilee, January 2012; more on this important emerald suite over here! 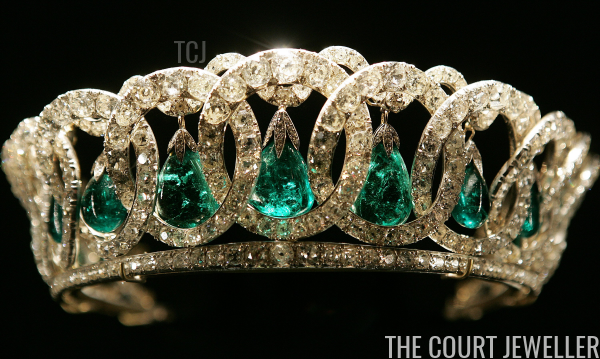 The incredible Gloucester tiara collection includes multiple pieces inherited from Queen Mary, including the Teck Turquoise Tiara. 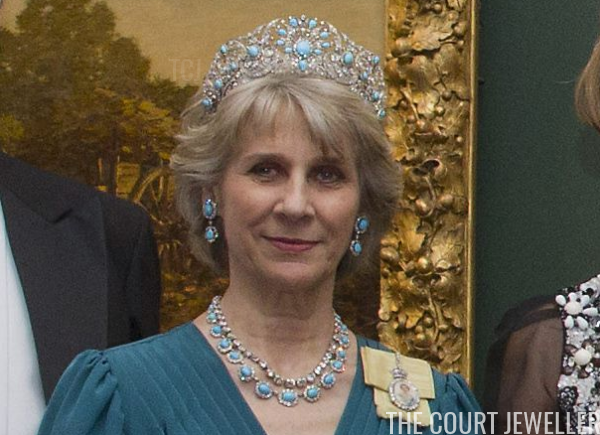 Combining turquoises with diamonds in an intricate design, the tiara has been worn by two generations of Gloucester duchesses. 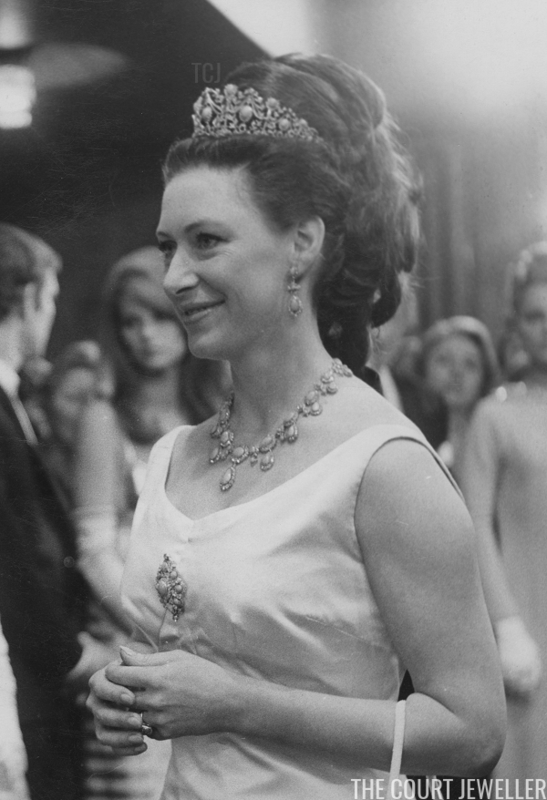 Princess Margaret, Countess of Snowdon wears the Persian Turquoise Tiara and its accompanying jewels for the royal film performance of Taming of the Shrew, February 1967; more on the history of the jewels over here! 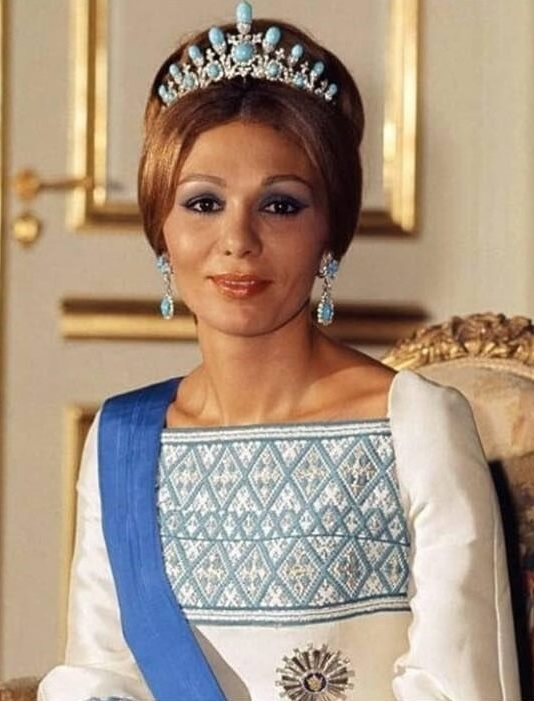 Farah Pahlavi, the former Empress of Iran, wears her turquoise tiara in an official portrait, ca. 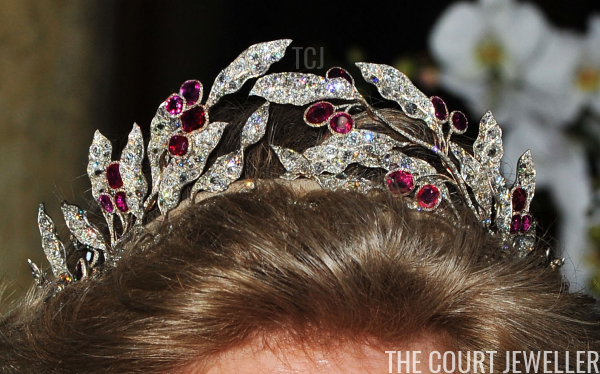 1972; see another view of the tiara and its accompanying jewels here! 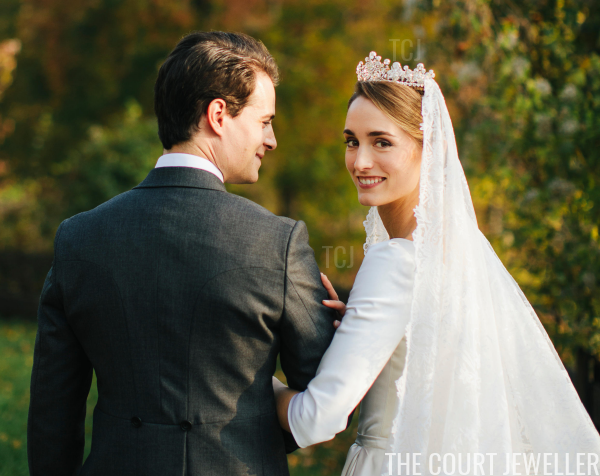 Today's tiara may look small, but its history unites numerous royal families from different nations and includes a pair of major royal wedding outings! 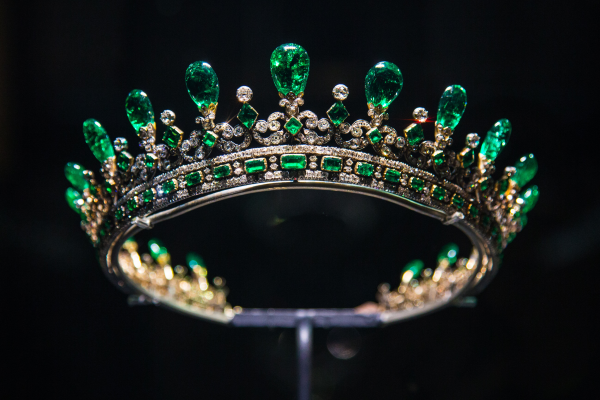 Here's the fascinating history of the Prussian Tiara. 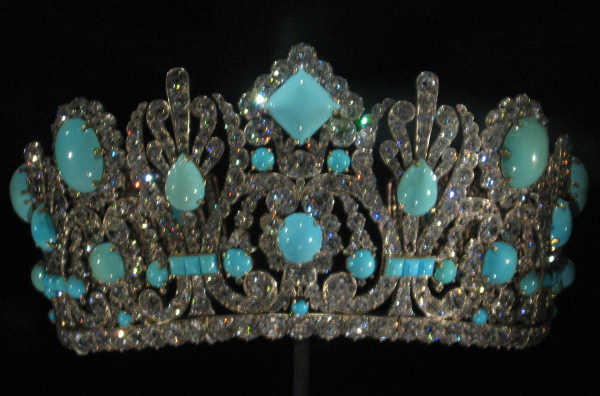 The Marie Louise Diadem is displayed at the Smithsonian Museum of Natural History in Washington, D.C., July 2010; learn more about this intriguing imperial tiara over here! There was so much sparkling splendor at this week's Nobel Prize gala festivities, they needed their own separate review! Don't forget to vote for your favorites in the poll below! 10. and 9. 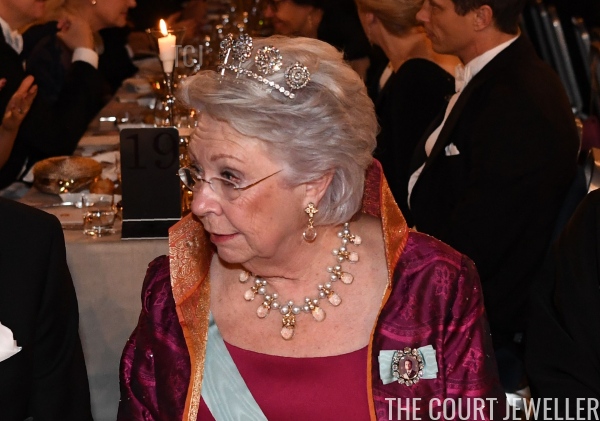 For the Nobel Peace Prize banquet on Monday in Oslo, Queen Sonja chose a statement necklace with coordinating earrings, while Crown Princess Mette-Marit wore sparkling diamonds on her wrist. 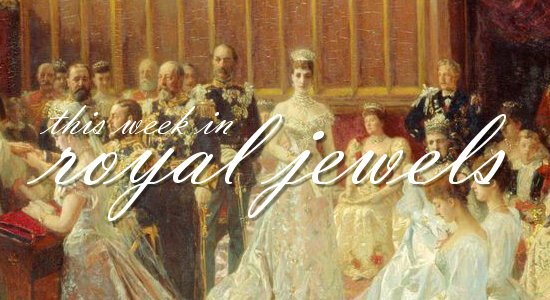 We've got a bonus day of royal jewels in this week's review, and it's a whopper! (And that doesn't include the Nobel gala jewels, which will appear later in yet another review!) Don't forget to vote for your favorites in the poll below! 25. 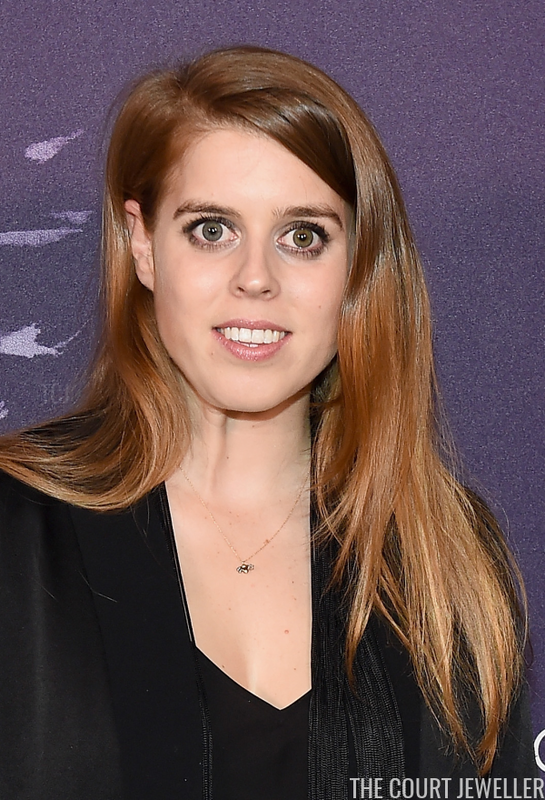 Princess Beatrice of York wore a playful necklace with a bee pendant charm at the New York Public Library on Monday for the Berggruen Prize Gala. 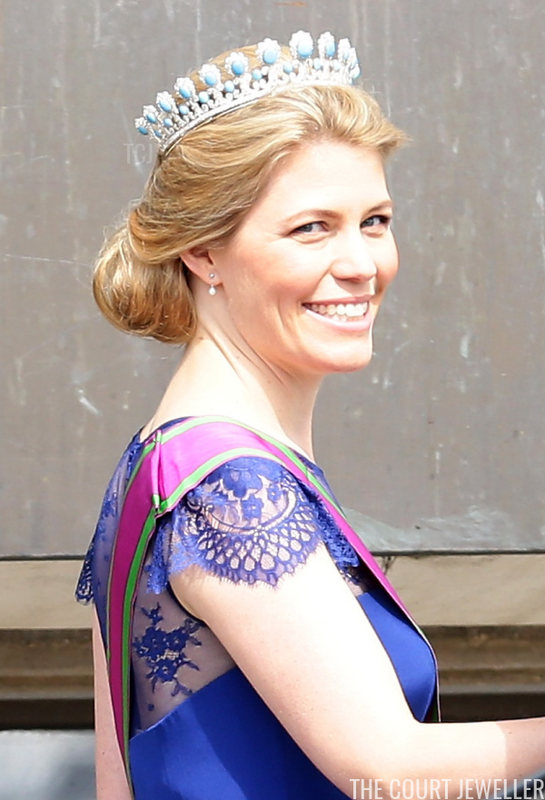 Hereditary Princess Kelly of Saxe-Coburg and Gotha wears the family's diamond and turquoise tiara at the wedding of Princess Madeleine of Sweden, June 2013; read more on the tiara here! The gorgeous feathers of the peacock have provided design inspirations for artists for generations, including the makers of royal jewelry. 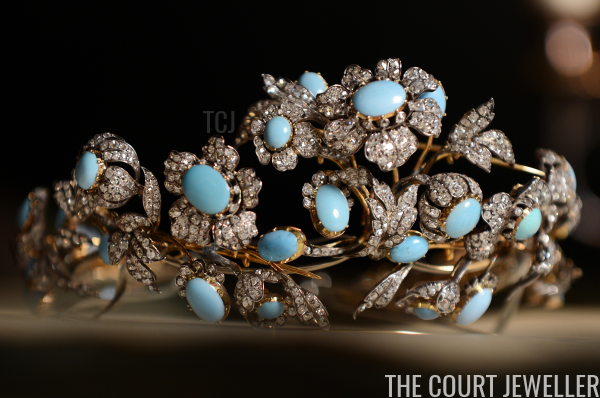 Today, here's a look at a trio of peacock-inspired jewels. 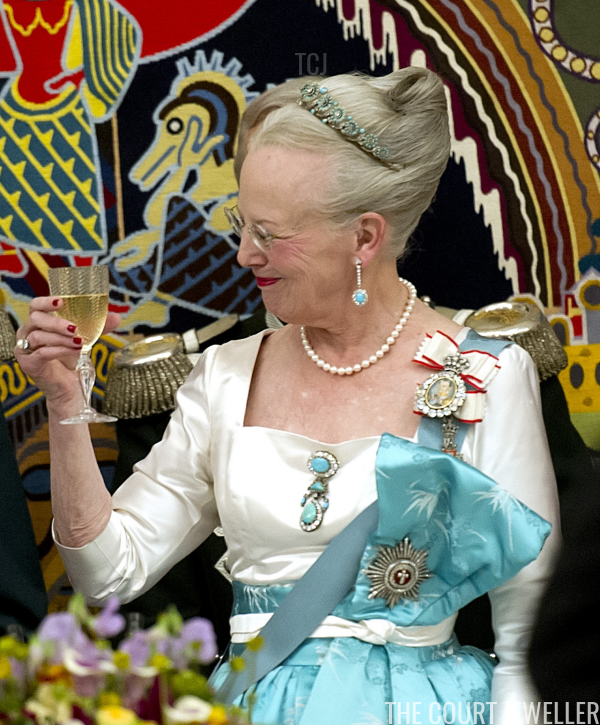 Queen Margrethe II of Denmark wears the Turquoise Daisy Bandeau during a state dinner for the President of China in Copenhagen, June 2012; read more about the tiara here! 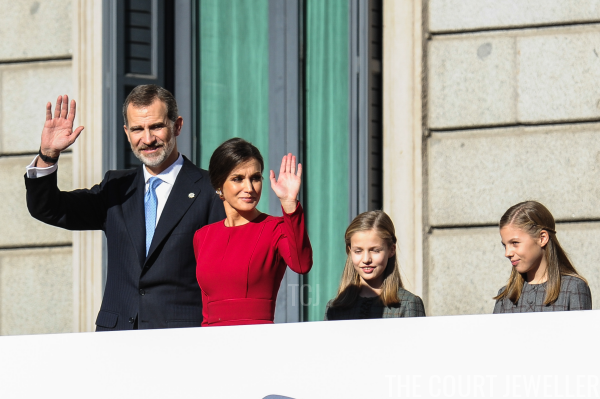 On Thursday, the Spanish royal family gathered in Madrid to mark a very important milestone: the 40th anniversary of the nation's constitution. 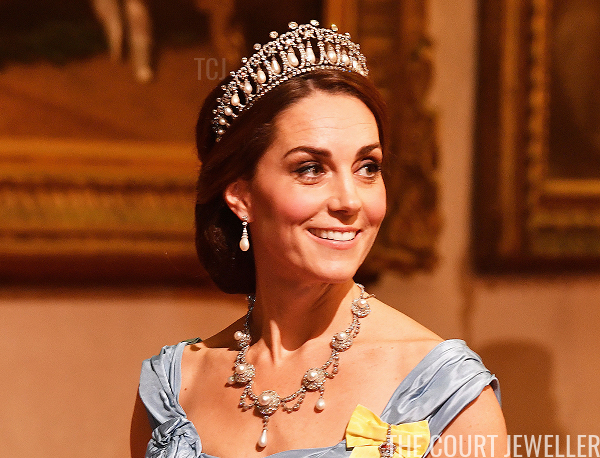 Our tour of Monday's Nobel tiaras wraps up with a surprise attendee: Princess Christina! 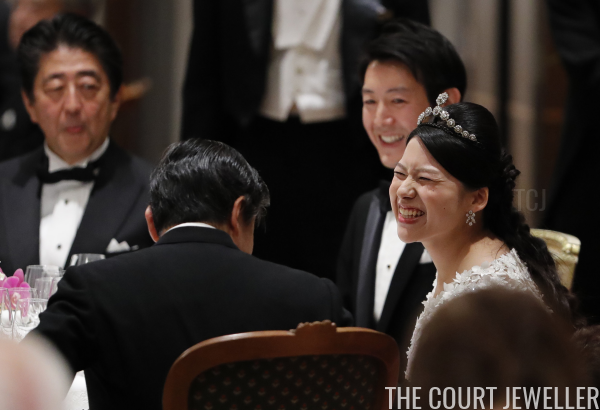 The palace doesn't mention her in its official press releases, and she's recently retired from most public appearances, so it was very exciting to see her at the festivities. 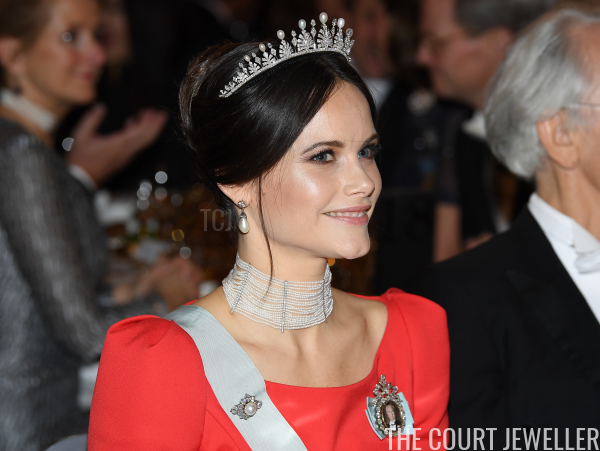 Our Nobel jewelry-palooza rolls on with a look at the sparkling jewels worn by Princess Sofia in Stockholm! 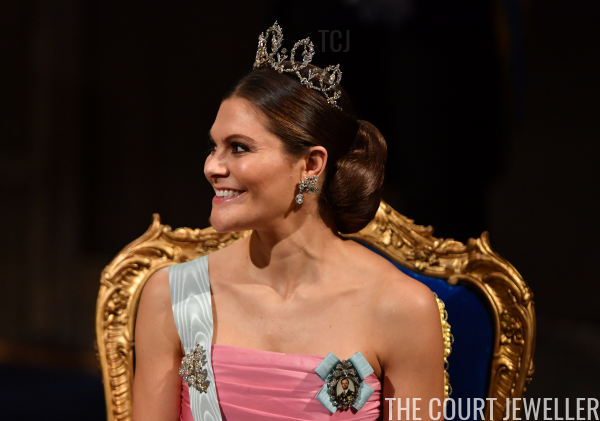 Our tour of the Nobel Prize celebration jewels of 2018 continues with a look at the sparkling gems worn by Crown Princess Victoria in Stockholm! 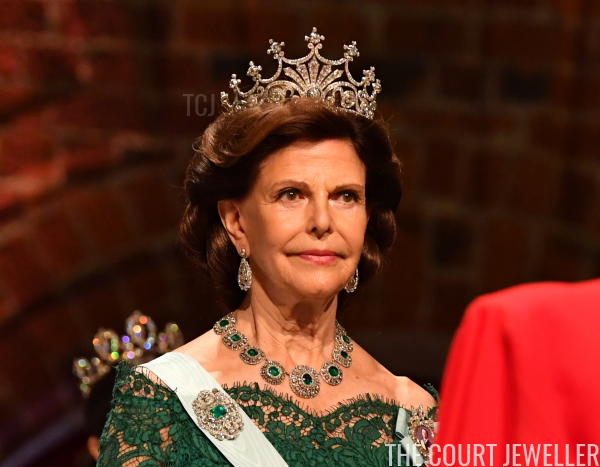 Our extended coverage of the 2018 Nobel Prize ceremonies kicks off with a look at the jewels worn this evening by Queen Silvia of Sweden in Stockholm! 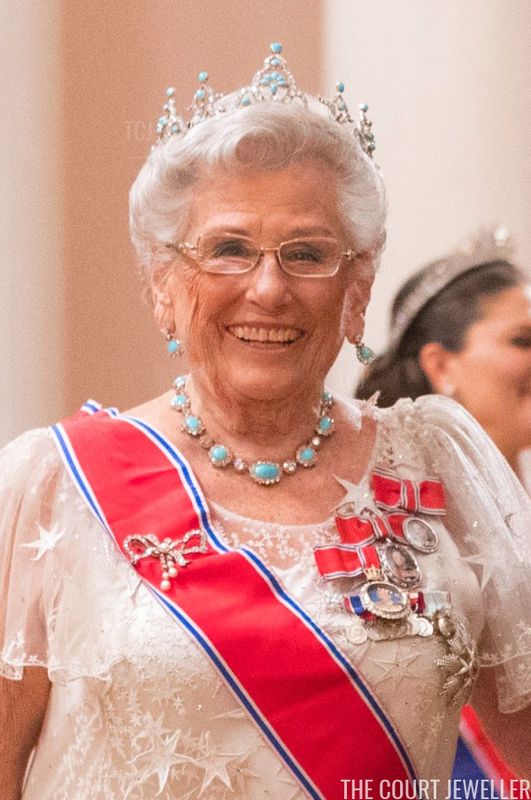 Princess Astrid of Norway wears Queen Alexandra's Turquoise Circlet at a birthday celebration for her brother and sister-in-law, King Harald and Queen Sonja, in Oslo, May 2017; more on this British royal heirloom tiara here! It's finally here, magpies: today is Nobel Prize day! 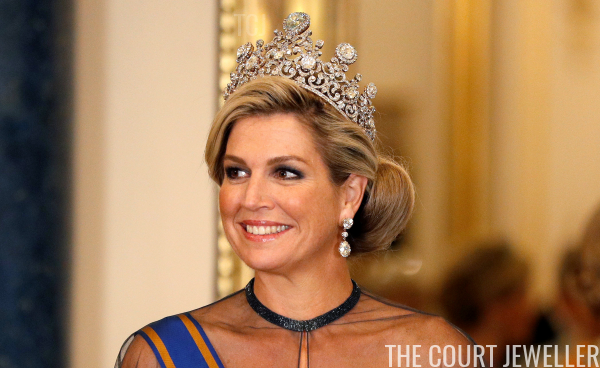 As some of the world's greatest minds are honored in Scandinavia, the women of the Swedish royal family will bring out the bling. (A more subdued gala will be held in Oslo for the winners of the Peace Prize.) 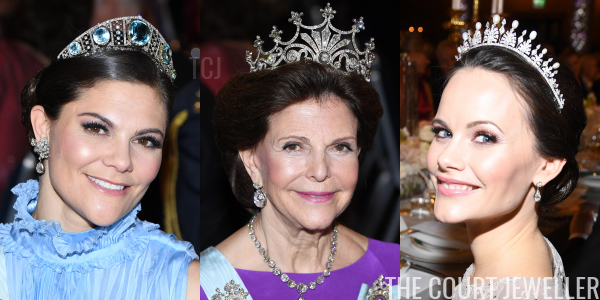 The royal court has confirmed that Queen Silvia, Crown Princess Victoria, and Princess Sofia will attend the festivities tonight in Stockholm, so it's time to do some tiara predicting!